Binoculars for theater are very different from regular binoculars as their purpose is to view live theater, drama, ballet and various other performances which are much farther away from the user and regular binoculars are not designed for such usage. Which is why we will have a look at the best binoculars for theater in this article. There are some aspects you need to check before buying the best theater binocular for yourself. Before getting into some of the aspects you need to look for in a theater binocular, Let us understand how it differs from a normal one. Opera Glasses or commonly called Theater Binoculars are designed for greater magnification for viewing dancer’s expressions and movements or actor’s gestures. The other factors like prolonged watching and much more are quite exclusive to the purpose that is indoor watching. 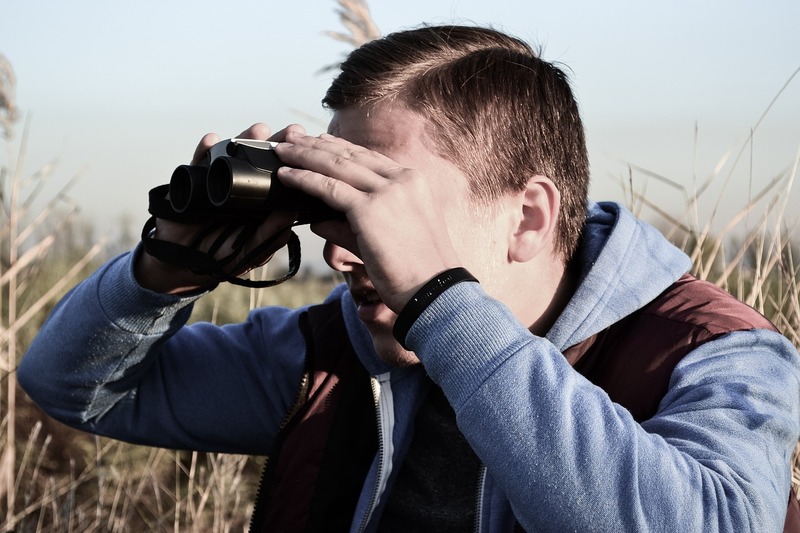 Normal binoculars are well suited for outdoor activities but these binoculars are tailored to suit indoor activities and therefore, this article will provide complete guidelines and tips as to which binoculars are the best buy. So, keep on reading! The Theater Binoculars are small, compact and with low-power optical magnification for more image stability. As the purpose of these binoculars is to give magnified, unshaken image of the performer and also maintain the larger field of view, low magnification is recommended. This way you wouldn’t be able to miss any expression of your favorite artist and also enjoy a better view. This also the reason why they can be used for longer period of time and you would not get restless or take extra efforts to watch everything in one frame. What is the structure of a theater binocular? These binoculars are made of two tubes joined together just like normal binoculars and each containing objective lens and ocular lens on each end. A system of prisms is present between these two ends that is used to bounce light back and forth. This impeccable design saves time and maximizes your joyful experience. There are various factors that affect the experience of watching through these binoculars and we advise you all to keep all these factors in mind so that you can get yourself the best binoculars for theater! The size of the objective lens from where the light enters is an important factor for choosing the binoculars as they provide a bright image in any lighting condition of theater. Objective Lens size is basically the diameter in mm and is expressed after magnification like 3×10. So, the magnification is 3 and 10 mm is the diameter of the lens. These binoculars are compact and hence, the objective lens size is always under 30 mm while standard binoculars range from 30 mm to 50 mm. Typical objective lens diameter ranges from 3×10, 3×25, 3×28 and 2.5×25. The weight of the device is also dependent on objective lens size, and hence lesser size means less weight to handle. This is important because you may be holding the binoculars for a very long time and you would want to have binoculars which aren’t heavy. By dividing Objective lens size by magnification, we get size of exit pupil lens which allows the light to leave and for maximum exit pupil, the human eye needs to be in straight line with the eyepiece. As everyone knows, a larger magnification or in simple words more zoomed in image loses the wider view of the picture. In a similar way, a more magnified lens of about 8x or 10x are too much zoomed in for theater purpose as you will miss out on the other parts happening on stage. In simple words, magnification is the extent of viewing the object as close as possible. So, a 5x magnifying glass will bring the object 5 times closer i.e. if the object is 50 m far away, it can make it appear 10 m far away only. One of the great ways to get the best possible theater experience is to catch every glimpse of the show and watch every action unfolding one after the other without missing any part. The main aim is to get the whole picture closer to the eye and not just one part of the frame so, these binoculars do not have standard binocular type magnification of 8x or 10x but are typically 3x and 5x. 3x magnification is frequently used as it will offer a wider view of the stage and you can experience the whole performance effortlessly. This magnification recommendation also removes image shakiness which is a negative factor in viewing. Image shakiness just kills the joy of watching theater shows which is why you have to keep this factor in mind. In purchasing the binoculars, one always looks for aesthetic beauty as well as functional design. Fortunately, both are available, but it is best to know what points to keep in mind. Various types of binoculars are available with different designs made of polished metal, wood and in a plethora of shades of color. Every binocular is designed to give a different kind of style from nostalgic to minimalistic to modern expression. Usually, theater viewing is an outdoor socializing activity, and you would want to match binoculars according to your style and sense of fashion, therefore it has a wide range of design so that you can buy something which goes well with your sense of fashion. Functionality and ease of use is an important factor as you are going to use them for long and continuous period of time. Coordinating holder is sometimes attached to the binoculars which can be adjusted accordingly giving comfort while holding them. These handles can also be folded appropriately for more portable usage and binoculars also come with chains or straps for an easy carry. When deciding which binoculars to buy always keep in mind, its design, durability, robustness and high-quality optics. Also look for better designs and binoculars which are low on weight for an amazing user experience. It is always sensible to spend money on high-quality products rather than buying low-quality cheap products which have less working life. Lens coating is much necessary for the sharper view as they minimize the amount of light getting lost by reflection and maximizes the amount of light passing from objective lens to ocular lens. Prisms inside are also coated for better image performance. Single and multiple coating lens both are available options to look into. Get the binoculars made with best quality material for profitable investment. Also, since this is a device which will help you enjoy the art you love spending some extra dollars for a good quality theater would be ideal. This small, compact sized binocular is lightweight and can fit into your pockets easily making it user-friendly and easily portable. This has been specifically designed for easy portable use due to its thin body of about 19 mm and weighing 2.4 ounces i.e. 68.04 gm. The surface is smooth, even and flat overall with 10 mm Objective lens and 2.5 mm Pupil size. Magnifying power is 4x which is within the recommended range. With its durability, high performance, and great ergonomics and design, it has been liked by many customers and has received positive reviews. This buy will not be waste of money for sure. Also, Nikon is one of the best brands when it comes to theater binoculars. 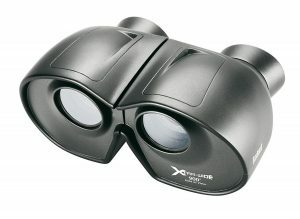 As the name suggests these binoculars are “Xtra- Wide” and are twice in terms of width when compared to normal binoculars. 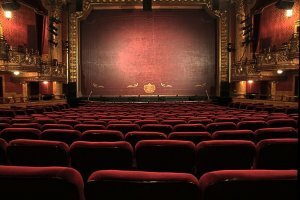 This means that it provides the widest field of view which is considered an important factor for getting the best experience while watching theater performance. They provide field of view as narrow as 900ft at 1000 Yards which means you can watch all of the performance just like sitting on the first row. By design, these are compact and are rubber-armored which provides a non-slip grip and are free-focus binoculars. They have an auto-focus feature which enables viewers to get a clearer view of distant performers smoothly, without any time taken to adjust focus. It also has quality optics, with BaK-4 prisms and all the optics are multi-coated for greater image performance in terms of sharpness, resolution, and clarity. It has a magnification of 4x with Objective Lens diameter of 30 mm and Exit Pupil of 6 mm. They weigh around 412 gm and are compact in design making it easier to carry in a bag. This product has been reviewed and rated by customers as the best binoculars for theater and should definitely be in the buying list. As they say on their site “Suddenly so close you can almost touch it. That’s because PENTAX quality and clarity are within reach, at a price that’s within reach, too.” These binoculars feature an incredible design with porro-prism models and dual-axis. Optical performance is one of the best as it features “uni-body” design which integrates two eyepieces into a single housing and synchronizes them for the best view possible. 21 mm Objective lens size provides a maximal light transmission with 3.8 mm exit pupil for brightest and clearest images and both are fully multicoated. It has a minimum focus distance of 18 inches which makes it easier to view clear image from near the stage also but exceeds the recommended magnification value and offers 5x. It has an aspherical lens element that doesn’t let the images on the corner to blur and provides the same sharpness as it would be at the center of the image. They also have various unique and attractive color options to choose from. This 16.15-ounce device is 2.24 inches thick and with height width as 4.69×6.2 inches is water resistant and durable to use. 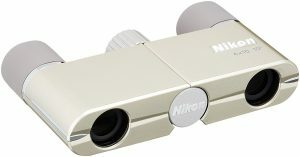 With so many features and its unique design, these theater binoculars can be considered as one that is aesthetically different from others but also provides sharper and clear image. LaScala Optics 3×25 Iolanta Opera Glasses are very stylish and authentic looking Opera glasses with a handle attached to its side for the ease to hold while watching. This lightweight and compact binocular has 3x magnification lens with 25 mm Objective lens size which gives clear and bright image and higher transparency with all types of lighting in the hall. LaScala Opera Glass weighs around 7 oz or 204 gm with 4.5-inches x 2.3-inches x 1.2- inches dimensions. These stylish looking Opera glasses are also comfortable and easy to handle as the handle attached to it can be folded and made into a compact form again. Angular field of view is 11.2 degrees which are incredible and also focusing is easily done with a central wheel. They have platinum or silver colored coating which looks awesome as well as provides portable and durable usage. It can be carried around in purse or bag due to its compact size. 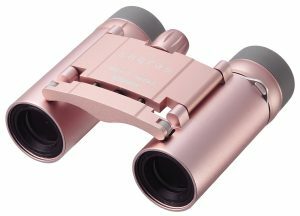 This covers all the aspects of a good binocular in terms of look, money, functionality, size and easy to use factors, this Opera Glass enjoys a lifetime warranty and is surely must-have binoculars. Vixen Optics Opera Glasses are considered to be the best Opera glasses in terms of compactness and size. With its sophisticated design and look, it offers 6x magnifying power that is a little more than recommended value (5x). This could be advantageous for anyone sitting at the corners of large hall or auditorium. Built with 16 mm Objective lens and 2.7 mm Exit pupil for brighter and sharper image, the binoculars also boast about high-quality BaK-7 prism with a fully multi-coated lens that allows no light to escape and thus, making the experience of theater more clear and enjoyable. This fit in your purse binoculars has 3x magnification power suitable for indoor viewing with amazing figures of the field of view. Angular field of view is excellent 8.3 degrees and linear field of view is also no less, measured 145 meters at 1000 meters. People sitting in the front row can also enjoy spectacular view with focus distance being 3.3 meters. With all technical specifications fulfilling it to be one of the best binoculars for theater lovers, its beautiful and aesthetically pleasing design, is sure to catch some eyeballs. Low magnification power which provides a large field of view and vivid image. Instructions to use are in Japanese. Extra wide field of view of about 900ft at 1000 yards. Rubber armored for non-slip grip. Quality optics with BaK-4 prisms and multicoating. Sharp, clear image quality with an auto-focus feature. Portable and can be carried in a bag. Not compact in design to fit in pockets. Beautiful, unique and compact design. Considered a versatile binocular and can be used for various purposes. Minimum focus distance is less. Higher magnification as compared to other glasses and is related to the lesser field of view. Best image performance in dim lighting. Comes with handle and lightweight. Best buy in terms of money. Not suited for very large halls, as the magnification may not be proper. Minimum focus distance is close. Image quality is spectacular with high-quality optics used. Field of view is lesser compared to other opera glasses with 6x magnifying power. So, the main purpose of theater binoculars is to provide best possible viewer’s experience enhancing their awe moments on stage and reducing the efforts to see them. Performer’s gestures, facial expressions, and movements are the main essence in a performance and getting to such details at the back of the large with ease is all that you would want. In the end, all that matters is the best value of money put in, and for all the customers lacking in knowledge, can look up to our review list and make an informed decision to buy the best binoculars for theater. Our picks are highly recommended by buyers in the past and are best quality products. For low lighting condition, the large exit pupil is recommended. Lower magnification gives a wider view and is used for continuous viewing. Objective lens size should be between 10 mm in diameter to 30 mm. Lens coating affects the light transmission and multi-coating provides best quality optics. Look for handles, chains, and cases for more comfortable usage. Lastly, theater glasses are designed to keep functionality in mind with various technical specifications, choosing the best one for your needs is necessary for an unforgettable theater experience.